EMEC is working with Zero Waste Scotland on a project to identify local applications for oxygen, a by-product of the hydrogen production process. The European Marine Energy Centre (EMEC) has launched a new project to explore how circular economy approaches can be applied to optimise the efficiency of hydrogen production and stimulate the development of a local oxygen market in Orkney. The project includes 30 days business support from Zero Waste Scotland as part of the circular economy business support service, an initiative supported by funding from both the Scottish Government and the European Regional Development Fund through the £73million Resource Efficient Circular Economy Accelerator Programme. The project aims to identify potential value-added applications for the commercial use of oxygen, an untapped by-product of the hydrogen production process, and develop a more circular business model for hydrogen. 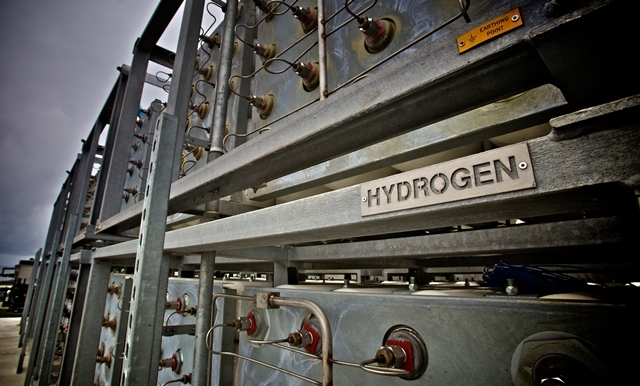 EMEC have been producing ‘green’ hydrogen since 2017, using renewable energy from local wind and tidal resources to power an electrolyser, splitting water into its chemical components: hydrogen and oxygen. However, the cost of producing hydrogen is high, as roughly one third of input energy is lost as oxygen and low-grade heat during production. This cost is driving business innovation to increase the efficiency and circularity of the process by identifying end applications for heat and oxygen by-products. Local industries such as aquaculture, horticulture, diving, health and aviation all use oxygen as part of daily business. Integrating locally produced oxygen into the supply chain will increase island resiliency and reduce the environmental impact of businesses currently getting oxygen delivered from the UK mainland. 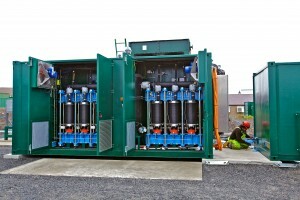 “Building on the success of pilot ‘green’ hydrogen projects such as Surf ‘n’ Turf and BIG HIT which have aided the development of a hydrogen economy in Orkney, EMEC aim to explore the potential of the local oxygen market and are keen to receive proposals from businesses to identify local uses for oxygen.